Resident Anti-Hero is committed to the ongoing development of a contemporary mythology that is both politically aware, and soundly folkloric. Through the use of music, extended metaphor, and storytelling, the band offers an in-depth narrative encompassing issues of world politics, environmental awareness, social justice, survivalism, and sustainable living. The fictional world of Resident Anti-Hero and the Anti-Hero Underground is intended to be an ongoing mythological journey, exemplifying and critiquing the world it was created within. Resident Anti-Hero is a unique fusion of literature and sound. 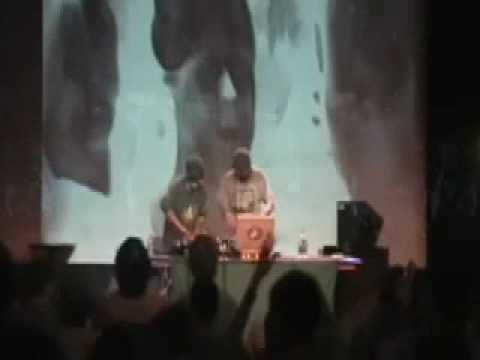 Sonically, the group is a fusion of otherground hip-hop & electronica, mixed with a dub technique. Literarily, the project incorporates a novelistic theme of speculative fiction together with lyric-based poetry. The band’s affinity for instrumentation and effects allows for a distinctive and incomparable Live PA show. Resident Anti-Hero was founded in the rainy forests of the America’s Pacific Northwest by artists/activists concerned with raising political awareness, and combating the lack of relevant culture heroes in modern day society. Resident Anti-Hero’s special breed of sub-terranian guerrilla-hop has been combating machine culture since 2002. Resident Anti-Hero is available for shows, studio production, and scores for film and video projects. If you are interested in working with the group, please contact us.